Information Services at Thomas is made up of two departments; Library Services and IT Services. Responding to the increasing complexity of information and technology service requests, these two departments provide a “one stop shop” for all academic requests. Our Service Desk staff (combining reference desk, media services, and help desk) attempt to answer all general student and faculty questions. Our full-time Library Services and IT Services staffs handle specialized requests. Library Services staff focus on all academic areas and request IT Services staff assistance for more technical items. 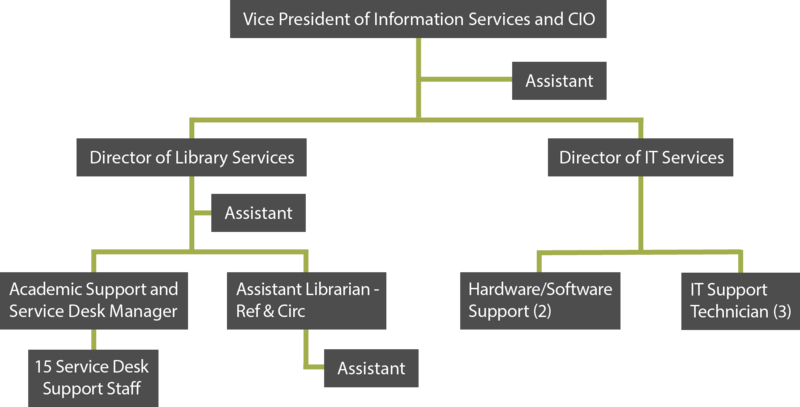 In addition to providing academic area technical support, IT Services staff focus on infrastructure, administrative, and student experience areas.